The internet is full of great resources if you know where to look. Just watch what your children are browsing and of course, set times to carry out this activity with them because if you are not strict since the beginning, the situation will not be pleasant for both parties. 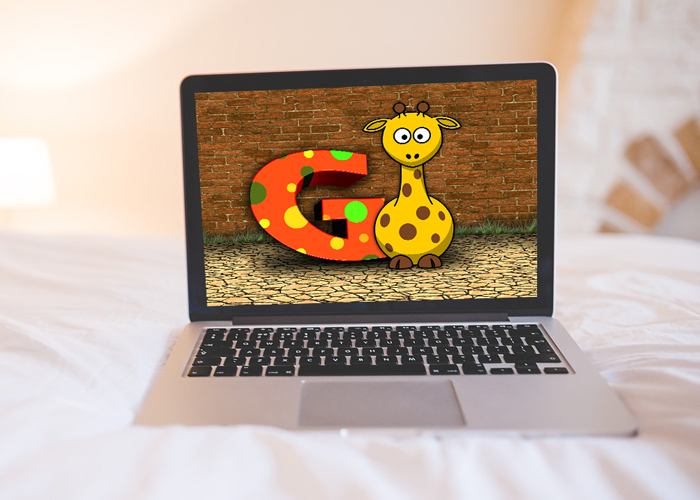 Here we recommend some reliable websites where you will find educational materials that will help your children practice their reading and know new words. You can see how they have fun with songs, rhymes, characters, and dynamics without spending a dollar or worrying about inappropriate advertising for their age. Take time to browse them and choose the site or sites that could like your child most. 1. International Digital Library for Children. Here you will find several short stories illustrated in English and Spanish. Also, you can support the site helping with translations of texts, donations of books or even monetary contributions to improve the experience of the child, although this is not necessary. With more than 150 million visitors a year, this site is successful for transmitting videos of famous actors reading children’s stories; All supported by colorful and creative illustrations that will reinforce their learning and keep their attention. It specializes in teaching children during preschool and early years of primary education to read with the help of phonetics, which is why the child will find many songs, as well as a section of simple mathematical exercises that will develop their mind. At Story Place, you’ll find entertaining stories and early literacy activities, in formats compatible with desktop computers and with different mobile devices. As soon as you enter, you will see eye-catching colors and characters that your children will love. Novels, videos, Ebooks, short stories and skill games are part of the Tumble Book website, where suggestions and the latest materials of the month are relevant. Includes many options and varied activities that will make you find something for your children. They position themselves as the leaders in educational and free games for mobile teams. It is designed for students of primary education, as it offers engaging activities that will assist in learning at their level. It is a website that looks very reliable since the first sight. If your child is a little older, approximately 8 to 12 years old, you can show him this website confidently. There are several entertaining materials for them with a minimum amount of illustrations, unlike the materials for small children. There is also a section of poems and audios of children’s songs with their respective lyrics. It’s one of our favorite places; Combining interactive activities with audios, songs, many colors and friendly characters. We are sure you will love the way that Between the Leons will teach your children. We also find Fun Brain, a very complete and varied website that offers games, videos, reading area and even fun math area for your child to learn without realizing it. There are classic stories such as the Little Red Riding Hood and other original stories made by contemporary authors. Finally but no less entertaining, we have this great portal with books sorted by categories for children of different ages. What we love is that you have the options to read online or download the books in PDF format for free for your child to read as many times as you want without an Internet connection.